Acli-Mate Mountain Sport Drin....46 oz. No artificial colors, flavorings, preservatives, high fructose corn syrup, caffeine, gluten, dairy, soy, egg or yeast. The presence of particulate matter in this product is normal. Mix one packet with 10 ounces of cool water or to taste preference. May also be made warm. 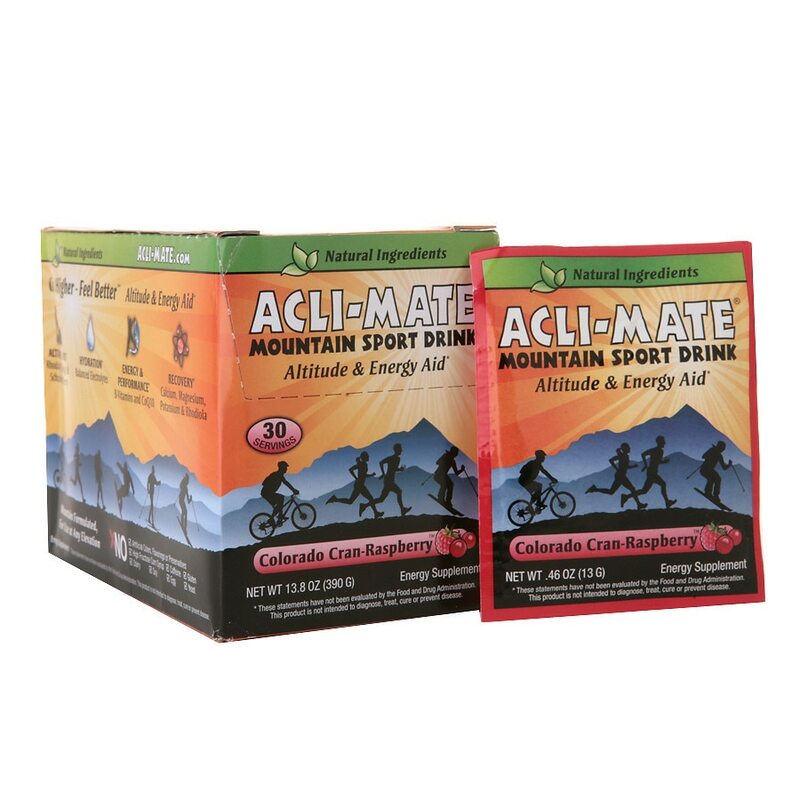 Acclimatization: Use 1-3 servings daily starting 3 days prior to travel at elevation and for the duration of your stay. Performance: Consume 30-60 minutes prior to exercise as a pre-sport energy supplement. May also be used during and after activity. 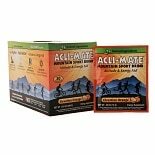 Recovery: Consume 1-2 servings after exercise for replacement of essential vitamins, minerals and electrolytes.